My friend, Nick Provenzano (aka The Nerdy Teacher), has bravely spoken out about his battle with depression. Project Semicolon also spoke to him on a deeper level as he explains in his blogpost The Semicolon and The Nerdy Teacher #semicolonEDU #ProjectSemicolon. He and Joe Mazza have each added a permanent semicolon to their wrists as not only a show of support for ridding the stigma of mental health issues but more importantly, as a sign to others. Joe shared his story on his blog: "Let's Stop Faking It". My dear friend, Elissa Malespina recently shared her story as well, inspired to speak out because of Nick & Joe. So today, I’m putting myself out there. But the appointment has been made. It will be my first tattoo. Yes, I feel that strongly about this. I want people to see my ; and ask me about it. I want others to see it, recognize the significance, and know they can talk to me. I want students to see it and know they aren’t alone and that I am here as a sounding board and support system. I want anyone struggling with these feelings to know that we can add a semicolon to our story; pause; take a breath; and continue. Because my story is far from over. Your story isn’t over either. 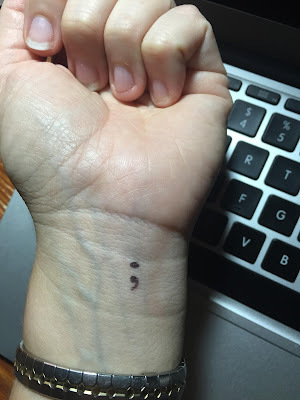 “I would love to see pictures across the Internet from all of my PLN on Tuesday July 14th with a Semicolon drawn (or tattooed if you are up to it) on your body to show support for all of the educators dealing with mental health issues. Use the tag #semicolonEDU to show your support on Twitter, Facebook, and Instagram. Let's show the world that we can come together and fight mental health stigmas by showing our support for one another. I know we can do it. " 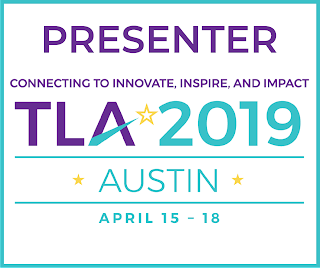 I’ve spoken many times about the power of my PLN and how “together, we are stronger”. I truly believe that and know today the ripple effects of standing up and speaking out will make a difference. And if me speaking out saves one life or makes a difference in just one person’s life, I will be grateful. Always. Let's have a conversation about mental health. I'm here. Thursday in Philadelphia with Sue!